It is Often referred to as the “silent disease,” osteoporosis usually progresses without obvious signs or symptoms until the first fracture occurs. Osteoporosis frequently strikes women after their enopause phase, mainly because of the decline in levels of the hormone estrogen which is important for the calcification of bones. When estrogen levels drop, the ability to absorb and assimilate dietary calcium is often reduced. It can also occur in men as a result of delayed puberty, inadequate calcium intake, smoking, excessive alcohol consumption or medications, such as glucocorticoids in addition to the declined levels of estrogen which come with the progress of age. There are hormones such as estrogen , parathyroid and vitamin D which are all very essential for bone formation and calcification and hence all three should be in balance. There are also genetic factors that seem to have an effect on the bones density, which mainly effect vitamin D, or genetic mutation that controls production of collagen matrix which is essential for bones formation. The normal process of bone formation and bone destruction takes place normally within the human body. Until a healthy person is around 40, the process of breaking down and building up bones is in balance. Afterwards and as the age progresses one needs to be more careful. One of the main factors affecting the levels of bone formation is the high level of estrogen we have within our bodies. For example, during the women’s menopause phase, the estrogen levels drop down significantly; increasing the risk of osteoporosis and the susceptibility for bone fracture as well.Therefore, Women unfortunately are more likely to suffer an earlier osteoporosis compared to men as men’s estrogen levels drop gradually as they get older whereas women’s drop suddenly with menopause. products (US, Great Britain, Canada, Northern Europe), than in those that don’t (traditional Africa, China). There was a study conducted at Harvest on 78,000 nurses who have been drinking milk regularly ( like twice a day) for the past 12 years and these people had a much higher risk of hip fracture than those who drink a glass of milk a week or less. 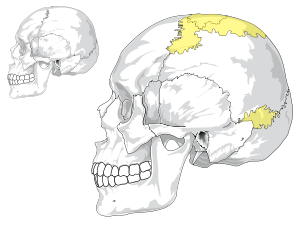 The explanation for this lies in understanding more the structure and function of bones. At this time, most people, including health professionals, think bone=calcium. But things are a bit more tricky here. Physiologically, bones are composed of calcium phosphate salts (65%) for the purpose of hardness, and a collagen matrix (35%), for the purpose of flexibility. If we place a bone in an acid bath and all the calcium is removed from it, leaving just the collagen matrix, when exposed to stress it will bend, however it will not break. On the other hand, if the collagen matrix is removed and all that remains are the calcium salts, when exposed to stress it will break. In other simple words: a bone with zero calcium will bend, not break, whereas a high calcium/low collagen matrix bone would break easily. This is why excess calcium can indeed increase the risk of fracture because that increase does not mean that the collagen matrix is also increased; which is more vital for healthy formation of bones. Milk contains very high levels of phosphate that it actually leaches calcium out of the bones. In addition to that milk had 8 times the amount of calcium compared to magnesium which is not a balanced ratio. High calcium levels with not enough magnesium levels will prevent the absorption of magnesium which is vital for moving calcium into the bones. A 2:1 ratio or better calcium than magnesium is more recommended. However, the ratio in milk would cause a magnesium deficiency in the body. When the ratio is not balanced, calcium will be pulled from the bones and this calcium is often deposited in the soft tissues; where it may later cause arthritis. levels of his bones have gone down due to declined levels of estrogen,for instance. In a case as such, giving calcium tablets is not as accurate as the majority thought it would be; due to the fact that too much calcium may not be calcified by the bones which may lead to osteomalacia. Osteoporosis can be further characterized as either primary or secondary. Primary osteoporosis can occur in both genders at all ages but often follows menopause in women and occurs later in life in men. It is associated with fractures that occur when the vertebrae compresses together causing a collapse of the spine, along with fractures of the hip, wrist , forearm caused by minor accidents or falls. A further type of primary osteoporosis affects both men and women and is mainly associated with leg and spinal fractures. The determining factor for the existence of osteoporosis both types is the amount of calcium left in the skeleton and whether it places a person at risk for fracture or not. Gender Women – have less bone tissue and lose bone more rapidly than men because of the changes involved in menopause. Age – One in two women and one in four men over age 50 will have an osteoporosis-related fracture in her/his remaining lifetime. Race – Osteoporosis poses a greater threat to Caucasian and Asian women, although African American and Hispanic women are also at risk. Body type – Women who are small-boned or thin are more susceptible to osteoporosis. Genetics – If a parent or sibling had osteoporosis, your likelihood for developing the disease is increased. Lifestyle – Low calcium intake (even as a child) and a sedentary lifestyle contribute to the development of osteoporosis. Smoking, caffeine and alcohol abuse. Soft drinks should be avoided due to their phosphorus content. Phosphorus is very acidic; it picks up calcium and takes it out of the body which in turn lowers the blood calcium levels. For the body to compensate and balance out the calcium levels, it starts pulling calcium out of the bones which leads to osteoporosis. Medication – some drugs, especially steroids and those used for rheumatoid arthritis and gastrointestinal problems, chemotherapy and anti convulsions, have side effects which can cause bone damage. Prior fracture – Breaking a bone in adulthood, especially after minor trauma. Abnormal absence of menstrual periods (amenorrhea). refined sugars, honey, and white flour, including pasta, white bread, muffins, and of course baked flour desserts. Wild yam, red clover, isoflavones, Agnus castus, black cohosh, dandelion ( for liver detoxifying to help achieving a balance within the body), angelica sinensis which is good for problems occurring due to estrogen deficiency, alfalfa, evening primrose. Broccoli, green leafy vegetables, nuts, red clover, raspberry, oat straw, dandelion, fortified tofu, almonds, canned salmon, shrimps. Reflexology, in common with other complementary therapies, is trying to gain scientific credibility in order to be accepted by the mainstream medical profession. 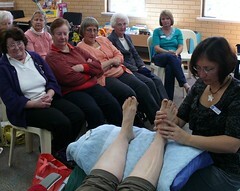 Part of this process involves explaining how Reflexology works. 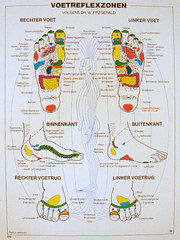 Listed below are some of the common theories of how Reflexology works. 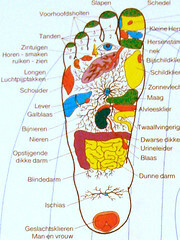 Many of the theories are not exclusive to Reflexology, and can be applied to a number of other therapies. 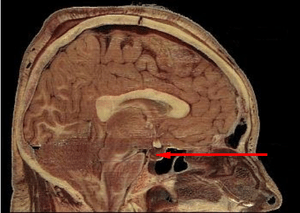 from the ganglia to the spinal cord then up to the brain for interpretation. Motor nerves than carry responses down the spinal cord, out to the ganglia then on to the appropriate muscles for activity. The electrical impulse theory says that for a reason, as yet unexplained, messages from the feet reaching the ganglia connect up with the messages going to muscles, so that working the feet has direct action on bodily organs. This explains why Reflexology zones are vertical, with pressure on one side of the foot affecting organs on the same side of the body. The theory can also be used to explain how Reflexology benefits people with paralysis due to severing of the spinal cord. The electrical impulse theory has much in common with the reflex arc, a well-known physiological phenomenon. Examples of involuntary reflexes include blinking, pupil contraction to light, knee and ankle jerks. The doctor tapping the bottom of the knee with a rubber hammer so that the leg shoots up is checking that the reflex arc is working, as an indication of proper neurological functioning. The reflex arc relies on nerve synapses or connections between sensory nerves and motor nerves in the spinal cord so that the activity takes place a split second before the brain is told about it, or can initiate it itself. A theory of pain is the gate-control theory. This theory says that pain receptors in the spinal cord regulating the amount of pain that can pass up to the brain. Once all the receptors are full, the ‘gate’ shuts, stopping further pain messages going up to the brain. This limits the amount of pain we feel. Many studies have indicated that patients have benefited from medication and surgery when they have in fact been receiving a placebo. Likewise, patients have suffered side effects from inert substances taken as a placebo. Trust in the therapist is an essential component of the effect as is the therapists’ confidence in what they are doing. Personality type is no indication as to reaction to a placebo. Perhaps the reason that Reflexology works is because of a placebo effect and the type of treatment is not as important as the relationship between therapist and client. This theory suggests that the ground pulsates with positive and negative electrical energy charges that are picked up by positive and negative receptors on the feet. The energy receptors in the feet are a part of the nervous system. In the healthy person, the charges and energy from the earth pass freely into the nervous system. If the positive and negative charges in the feet are not in contact with the earth, due to congestion in the feet or particles impeding passage, they cannot pick up the earth charges as effectively and energy flow is impeded. It is now thought that modern systems of pain relief e.g. TENS machines, work by mildly stimulating the nerve pathways. All the receptors are filled, the gates shut and severe pain stimuli cannot be passed up the spinal cord to the brain. It has been hypothesized that Reflexology works in the same way as a TENS machine. It is known that much illness originates from stress and tension in the body. It can be theorized that anything that relieves stress and tension and promotes deep relaxation will enable systems and organs in the body to work much more effectively. This theory suggest that Reflexology is very restful and relaxing, and therefore alleviates and helps prevent illness. At a highly symbolic level, the holographic principle that “every piece contains the whole” can be seen in the cellular structure of all living bodies. Scientific discoveries in the world of cellular biology, have demonstrated that every cell contains a copy of the master DNA blueprint, with enough information to make an entire human body from scratch. The fact that every cell within the human body contains the information to create an entire duplicate body mirrors the holographic principle (see article “Understanding the Holographic Principle” ) whereby every piece contains the information of the whole. reflexes in any one of these parts. A number of slightly different theories have much in common. It is known that all matter, including human cells, vibrate at certain rates. The brain in particular has recognized waves that can be detected on Electroencephalograms (EEGs). Alpha waves (8 – 13Hz cycles per second) are indicative of deep relaxation. It is also known that the earth is vibrating at a regular rate, in a frequency band known as Schumann Resonance, and that this rate is similar to that of Alpha waves. It can be postulated that the person whose cells vibrate at an alpha rhythm is in harmony with their surrounding and therefore likely to be in a positive state of health. It is theorized that the brain is the link between the earth’s vibrations and our bodily vibrations. Electromagnetic messages are created in the brain as it oscillates between positive and negative polarities. It is also known that the human body contains iron (in red blood cells), dissolved electrolytes (sodium, chloride and potassium bicarbonate, in blood plasma), proteins (which act as semiconductors) and water, and therefore generates a bio-magnetic field. To send rapid messages the brain works like a radio transmitter/receiver, sending and receiving electro-magnetic signals directly to and from our body cells to regulate their vibrational frequency . The brain also uses the much slower nervous and circulatory systems to pass chemical and electro-magnetic messages to and from cells to regulate vibrational frequency. Healing focuses on these two areas. Simultaneous EEG recordings (measuring brain electrical activity) often show that a client’s EEG pattern comes into synchrony with those of the healer during a healing session indicating sympathetic resonance is taking place. Studies have shown that the brain waves generated by healers are often Alpha waves. It is theorized that the healer, having tuned the client into the same wave length as themselves, can retune the messages to the correct frequency, or replace missing signals with their own signals restoring the Alpha wave link between brain and cells. In developing a relaxed alpha state prior to healing, the healer also taps into the earth’s vibrational energy to channel healing from outside through to the cells. Healers monitored by electrometers have generated fluctuating surges of low frequency body potential of between 0.3 Hz and 30 Hz, with most activity in the range 7Hz. In some healers, up to 60 Hz of potential difference was found between the head/hands and the feet. In electrical terms the healer’s body becomes a LF bio-electric dipole antenna. It is known that 2 Hz can regenerate nerve tissue, 7 Hz can trigger bone growth, 10 Hz can heal ligaments whilst 15-72 Hz can decrease skin necrosis and generate capillary formation. everyday life, palmer bio-magnetism is borderline detectability. The theory can explain why healers often feel tingling in their hands during a treatment. Areas of heat or blockage that healers sometimes say that they can feel on the body may be electrical resistance at the cellular or tissue level. It is also theorized that the healer’s sweeping or scanning of the body during healing could re-magnetize the blood and stimulate the bio-magnetic fields of the body. The circulatory system can then transport healing energy around the body in blood and plasma to restore correct vibrations. Evidence in support of a healing energy theory have included accelerated tissue healing and bone repair beyond chance probability. Experiments with nerve cells in petri dishes have shown that energy generated by healers can cause impulses to travel along these nerve cells and jump between the synapses or gaps between cells from one nerve to another. Research has shown that brain cells contain millions of crystals suggesting that the brain acts like a radio transmitter/receiver. the activity of a neurotransmitter called substance P, that is thought to transmit pain. It is theorized that a Reflexology treatment stimulates the release of endorphins to help ease pain and to give the body the same natural elevation in mood as strong painkillers. This school of thought believes that the patient does their own healing when and if they are ready, regardless of the therapist or the type of therapy. The role of the therapist is to facilitate the process. In a plumbing system, the ‘U’ bend traps all the debris that passes through the sink, toilet or wash basin. With time, unless proprietary cleaners are used, the bend becomes clogged and waste water cannot flow away properly. The feet are the furthest point in the circulatory system from the heart. They are also the part of the body where the effect of gravity is greatest, and are in effect, the “U’ bend of the body. It is theorized that calcium, uric acid and lymphatic deposits in the blood accumulate in the feet interfering with the normal circulation of blood and lymph. Reflexology breaks up and moves these deposits, thus improving blood and lymph circulation. Maybe Reflexology works because it is a combination of all of the above. At this point in time we just don’t know. Whilst it is important for the credibility of Reflexology to explain how it works, it may be many years before the scientific capability is available to test some of the theories, if at all. The effect of Reflexology may be due to an isolated factor, or due to a combination of factors. The important point to bear in mind in the meantime, is that regardless of how and why it works, Reflexology does work and brings benefit to thousand of people. Michael Holick, J.M. 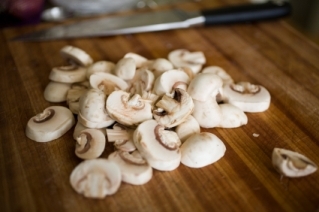 Bogusz et al “Evaluation of the bioavailability of vitamin D2 in mushrooms in healthy adults” Experimental Biology 2013. Here is a story that even a monkey would go ape about. A professor at CCNY for a physiological psych class told his class about bananas. He said the expression ‘going bananas’ is from the effects of bananas on the brain. When compared to an apple, it has four times the protein, twice the carbohydrate, three times the phosphorus, five times the vitamin A and iron, and twice the other vitamins and minerals. It is also rich in potassium and is one of the best value foods around. No wonder monkeys are so happy all the time! 1. Energy Boost: Bananas contain three natural sugars – sucrose, fructose and glucose combined with fiber. A banana gives an instant, sustained and substantial boost of energy. Research has proven that just two bananas provide enough energy for a strenuous 90-minute workout. No wonder the banana is the number one fruit with the world’s leading athletes. But energy isn’t the only way a banana can help us keep fit. It can also help overcome or prevent a substantial number of illnesses and conditions, making it a must to add to our daily diet.2. Nerves: Bananas are high in B vitamins that help calm the nervous system. 3. PMS: Forget the pills – eat a banana. The vitamin B6 it contains regulates blood glucose levels, which can affect your mood. 4. Anemia: High in iron, bananas can stimulate the production of hemoglobin in the blood and so helps in cases of anemia. 5. Depression: According to a recent survey undertaken by MIND amongst people suffering from depression, many felt much better after eating a banana. This is because bananas contain tryptophan, a type of protein that the body converts into serotonin, known to make you relax, improve your mood and generally make you feel happier. 6. Blood Pressure: This unique tropical fruit is extremely high in potassium yet low in salt, making it perfect to beat blood pressure. So much so, the US Food and Drug Administration has just allowed the banana industry to make official claims for the fruit’s ability to reduce the risk of blood pressure and stroke. 7. Hangovers: One of the quickest ways of curing a hangover is to make a banana milkshake, sweetened with honey. The banana calms the stomach and, with the help of the honey, builds up depleted blood sugar levels, while the milk soothes and re-hydrates your system. 8. Morning Sickness: Snacking on bananas between meals helps to keep blood sugar levels up and avoid morning sickness. 9. Mosquito bites: Before reaching for the insect bite cream, try rubbing the affected area with the inside of a banana skin. Many people find it amazingly successful at reducing swelling and irritation. 10. Brain Power: 200 students at a Twickenham (Middlesex) school (England) were helped through their exams this year by eating bananas at breakfast, break, and lunch in a bid to boost their brain power. Research has shown that the potassium-packed fruit can assist learning by making pupils more alert. 11. Constipation: High in fiber, including bananas in the diet can help restore normal bowel action, helping to overcome the problem without resorting to laxatives. 12. Ulcers: The banana is used as the dietary food against intestinal disorders because of its soft texture and smoothness. It is the only raw fruit that can be eaten without distress in over-chronicler cases. It also neutralizes over-acidity and reduces irritation by coating the lining of the stomach. 13. Temperature control: Many other cultures see bananas as a ‘cooling’ fruit that can lower both the physical and emotional temperature of expectant mothers. In Thailand, for example, pregnant women eat bananas to ensure their baby is born with a cool temperature. 14. Seasonal Affective Disorder (SAD): Bananas can help SAD sufferers because they contain the natural mood enhancer tryptophan. 15. Quit Smoking: Bananas can also help people trying to give up smoking. The B6, B12 they contain, as well as the potassium and magnesium found in them, help the body recover from the effects of nicotine withdrawal. 16. Stress: Potassium is a vital mineral, which helps normalize the heartbeat, sends oxygen to the brain and regulates your body’s water balance. When we are stressed, our metabolic rate rises, thereby reducing our potassium levels. These can be rebalanced with the help of a high-potassium banana snack. 17. Strokes: According to research in The New England Journal of Medicine, eating bananas as part of a regular diet can cut the risk of death by strokes by as much as 40%! 18. Warts: Those keen on natural alternatives swear that if you want to kill off a wart, take a piece of banana skin and place it on the wart, with the yellow side out. Carefully hold the skin in place with a plaster or surgical tape! 19. Heartburn: Bananas have a natural antacid effect in the body, so if you suffer from heartburn, try eating a banana for soothing relief. 20. Overweight at work? Studies at the Institute of Psychology in Austria found pressure at work leads to gorging on comfort food like chocolate and chips. Looking at 5,000 hospital patients, researchers found the most obese were more likely to be in high-pressure jobs. The report concluded that, to avoid panic-induced food cravings, we need to control our blood sugar levels by snacking on high carbohydrate foods every two hours to keep levels steady. BONUS: Shoe Polish – want a quick shine on your shoes? Take the inside of the banana skin, and rub directly on the shoe. Finish with dry cloth. Amazing fruit! To give yourself a quick mood boost simply bring your endocrine system back into balance by working the reflex for the pituitary gland and hypothalamus. To do this simply massage your thumbs on both hands and/or both big toes, paying particular attention to the center of the widest part of the toe or thumb. This area could be a little sensitive to begin with but will improve with continued massage. To give yourself an energy lift, banish lethargy and beat stress focus on the areas on the feet or hands which relate to the adrenal glands. By stimulating this area you will regulate your metabolism, lower blood pressure, reduce inflammation and motivate sluggish intestines. To do so simply massage the middle inner sides of your feet or hands. 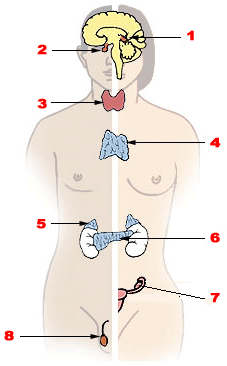 To give yourself a mental boost you need to focus on the reflex which relates to the thyroid gland. You do this by using your thumb to walk around the base of your big toe or thumb. This is also the area to focus on to aid weight loss, nervousness, rapid heart beat, dry skin and to control the levels of cholesterol in the blood. This gland has also been called the third ovary and has been known to have to have a big impact on women’s health. Deal with stress induced tension, either physical or emotional, by massaging the reflex point with correlates with your nervous system. The spinal cord transmits millions of messages back and forth between the brain and the body while spinal nerves connect to the body’s organs, glands ands structures. It is no wonder then that any abnormal tension on the muscles or ligaments will cause pressure on the spinal nerve. To work your brain roll your finger over the tips of your big toes and to release tension on the spine massage the inside of your foot. Massaging these areas can also help with headache, PMS and constipation. Even if you don’t have a particular problem reflexology can help improve your overall well-being and make you feel more energized. You can do this by massaging your solar plexus and diaphragm. Do so by drawing an imaginary line down from the second toe to just below the ball of the foot until you find a hollow. If under stress use your thumb to hold this point, while pressing slightly upwards, for 20 seconds. Don’t lose contact as you release pressure, just relax it gently. Try this three times, breathing in as you press in and exhaling as you breath out. Alternatively you can receive the benefits of reflexology in these and other areas by running a golf ball around in your hands, focusing on the areas where you feel you need the most help. This can even be done while waiting at traffic lights. 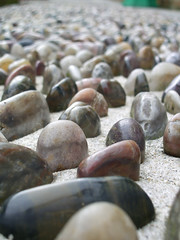 It might also to help to walk on smooth pebbles in a driveway. This can’t pin point specific reflexes but can help boost a sense of well-being. Want to learn more? Check out this video. Reflexology – What is it? It Is Time To Relax With The Perfect Massage. Feel Good With These Great Tips On Massages! The state of ‘health’ implies that all natural processes that support life are functioning at an optimal level in their intended alignment. There are three general types of ‘health’ – physical health, mental health and spiritual health. We usually treat each one separately as though they are not related…for instance, we might see a psychologist for mental health, a doctor for our physical health and a healer for our spiritual health. But is it really possible to separate physical health from mental health from spiritual health? Can we maintain our physical health in the absence of mental health? But don’t they all mean the same thing? It is only when we view ourselves from a holistic perspective that we realise that health is really an overall state of being. The body, mind and soul work as a system with each part contributing equally to whole person. When in flow, this system facilitates the natural flow of energy throughout the body, without blockages or resistance. When out of flow, this natural flow is interrupted as energy accumulates and stagnation of energy occurs. 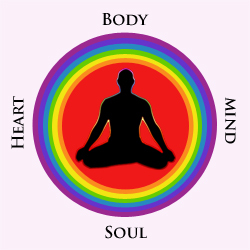 The Definition – What is holistic healing? Healing is about bringing any imbalance into alignment with its natural state of functioning. Every organ in our bodies has a natural or ‘healthy’ state of functioning as do our emotional, mental and spiritual states. When we are out of balance, we feel like something is out of place – whether it comes in the form of emotional or physical pain or discomfort – and we naturally want to return to our natural state of harmony, when everything ‘works’ as intended. This process of rebalancing is synonymous with healing. Holistic healing bypasses the ‘band-aid fix’ approach of conventional medicine, looks beyond a person’s physical state and sees the holistic view of their state of being or functioning. It acknowledges that the root cause of a physical illness may in fact be non-physical. Therefore, a holistic approach is considered to be more effective because change occurs on all levels and as a result, positive changes are more likely to last long-term and improve a person’s overall quality of life. When we heal holistically, we address imbalances on all levels, rather than one or two, and so it becomes a life-long process in achieving overall life balance. The ultimate goal of aligning the body, mind and soul promises a happier, healthier, more balanced state of being. Why Heal Insomnia the Holistic Approach?